Simply Snackin sent me an assorted mix of their jerky to enjoy. Simply Snackin makes gourmet dried meat snacks or “jerky.” While high on protein, these snacks are low-calorie and paired with ingredients like mangos, apples, and blueberries for an unconventional jerky flavor. I have to confess, I ate all the jerky in one sitting. All six pieces. It was that good. Hubby was at sea, so he didn’t get any. Yes, I feel a little guilty for not saving him some! Anyway, the beef was more tender than the chicken. My guess would be it has something to do with how the meat reacts to the drying process? But both were still very good. My favorite flavor was the “teriyaki chicken breast with mangoes & papayas.” I love teriyaki flavored jerky, and I love mangoes. 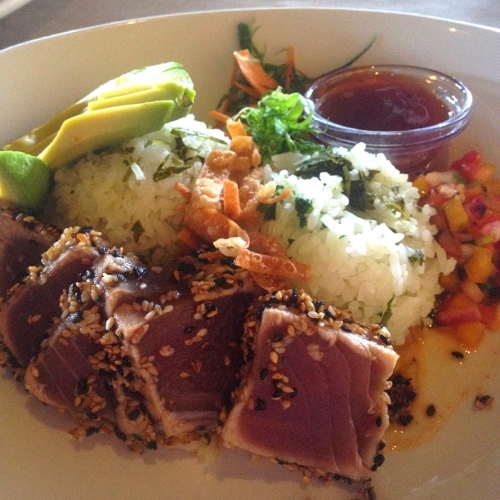 The pairing of the two was just sweet and delicious. The “chicken breast with black bean salsa” was good but quite spicy, so I wouldn’t recommend trying that one unless you like heat. My least favorite was the “Italian chicken breast with Romano cheese.” I could smell the cheese on it, because it was quite strong. It was fine…I just didn’t like it as much as the others. Here’s a list of the flavors, in the order that I liked them, with the mango being my favorite and Italian the least. As you can see, I preferred the fruit/meat combinations. 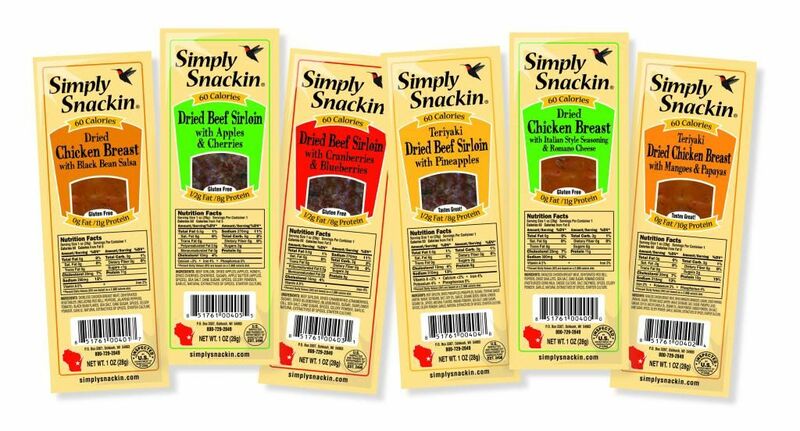 When I first viewed the Simply Snackin website, the prices threw me off a little. I thought they were expensive, but I’ve since learned I was wrong. Apparently I’ve never paid much attention before when I’ve grabbed a bag of jerky in the store! I did a search on Amazon and discovered that most of the different jerky brands are being sold for $1.05-1.85 an ounce, depending on the quality. Simply Snackin sells 12 pieces for $1.44 an ounce, so their prices are well within the middle of that range. The more you buy from Simply Snackin, the cheaper it is per ounce. For example, you can buy 150 pieces at $1.29 an ounce. Simply Snackin is currently not sold in stores, so you will have to take shipping into account. Orders of 12 or 18 pieces ship for $4.95 anywhere in the 48 continuous states. Any other size packages will ship $6.95 and up. I really enjoyed this jerky, and I’m hoping they’ll start offering it in local stores soon, so it’s easier to get. This stuff is seriously tasty! Visit Simply Snackin on the web for more information on their products and to purchase. You can also find them on Facebook. oh my! I love jerky, i need to find this! I love jerky, I would probably eat it all at once, too – LOL! Yum! I love good jerky! That is so weird, though, because in my experience chicken jerky is usually softer! I LOVE chicken jerky! This was my first time having chicken jerky, but I do think turkey jerky is softer than beef. Maybe it’s just the batch I got? Wow, this jerkey looks really good. I think the flavors are very interesting. I’ll have to suggest this to my husband! We love jerky. Those are pretty unique flavors for jerky, they sound interesting!